Depending on deep it has spread into your skin, the treatment and survival rate for each of the melanoma stages will vary. A recent study confirms that people diagnosed with Parkinson's disease have a higher risk of developing melanoma. Melanoma is the deadliest of all types of skin cancer, yet the cure rate, with early detection and treatment, is 99 percent. Unfortunately, too many people delay treatment and are gradually moving closer to higher melanoma stages, even when they know they have a potentially life-threatening disease. The lifetime risk of getting melanoma is about one in 40 for Caucasians, one in 200 for Hispanics, and one in 1,000 for African-Americans. The average age of people who have been diagnosed with melanoma is 62. The American Society of Clinical Oncology provides the following descriptions of each stage of melanoma. Stage 0: Melanoma cells found only in the outer layer of the epidermis. Stage I: Primary melanoma is still only in the skin and is very thin. Stage II: The melanoma is thicker than in stage I and extends through the epidermis and further into the dermis. Slightly higher chance of spreading. Stage III: The melanoma has spread through the lymphatic system, either to a lymph node located near where the cancer started or to a skin site on to a lymph node. Stage IV: The melanoma has spread through the bloodstream to other parts of the body. The events or conditions below make you more likely to develop melanoma. The distinguishing characteristic of melanoma is uncontrolled growth of melanocytes. These cells produce melanin, which is one of the body’s coloring agents. Most melanomas have a black or blue-black color, and they appear abnormal and even ugly. The Skin Cancer Foundation promotes the A-B-C-D-E method of identifying potential melanomas. Early detection of melanoma is key in treating the condition. 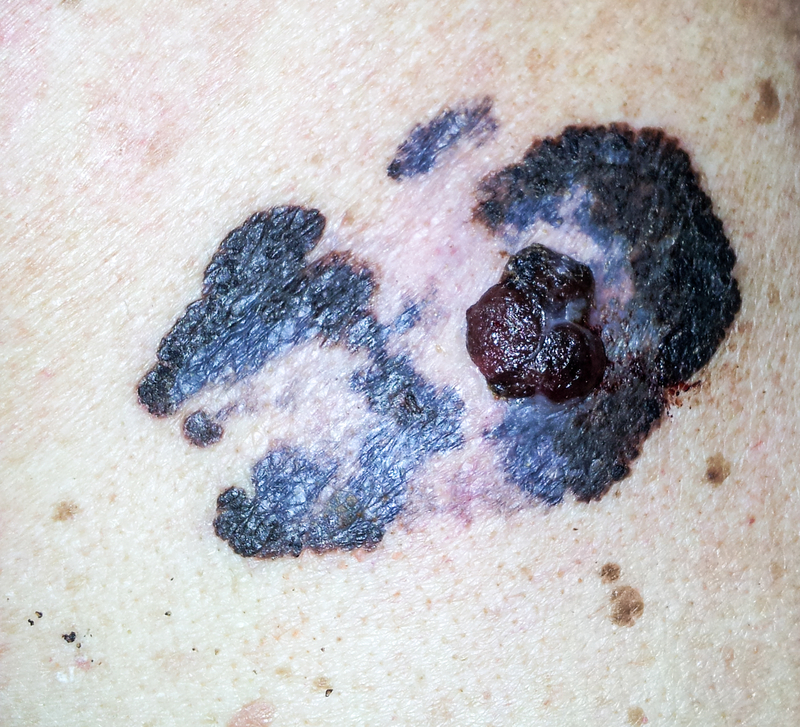 The deeper a melanoma has penetrated, the deadlier it becomes. In other words, the higher the melanoma stages become, the lower the survival rate. If it reaches beyond lymph nodes in the immediate area, the five-year survival rate is only 18 percent. A medical history, biopsies, and imaging tests are used to diagnose melanomas. They are classified and treated according to stages of development. Five-year survival rates depend on the melanoma’s stage. The rates vary from 99 percent for patients at stage 0 to 10–15 percent at stage 4. Early-stage melanomas can be removed by simple procedures at a dermatologist’s office. In some cases, the entire area can be cut out during a biopsy without further treatment. Melanomas that have spread beyond the surface of the skin are more difficult to treat. In Mohs micrographic surgery, the surgeon uses a microscope to examine the tissue and excises the growth layer by layer until only healthy tissue remains. Chemotherapy, in pill or intravenous form, destroys cancer cells for several months, but the treatment does not yet have a record of curing melanomas. Other “targeted” drugs attack genetic mutations in the BRAF gene, which account for about one-half of all melanomas. Drugs that target the BRAF protein are not likely to be effective in patients who have a normal BRAF gene. Using a combination of drugs has become an effective treatment method. UCLA researchers, for example, found that two drugs (dabrafenib and trametinib) combined with immunotherapy were more effective than the current standard treatment. In another study, a combination of ipilimumab and nivolumab improved more than 70 percent of melanoma patients. 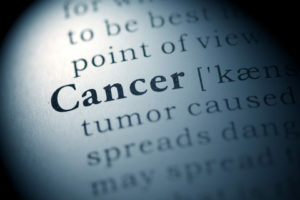 Radiation can kill cancer cells, including those produced in melanoma, but it is not considered a cure because it is not always 100 percent successful. Immunotherapy therapy is an attempt to stimulate a person’s immune system to kill a malignancy. Two types have received most of the attention and funding. Checkpoint inhibitors block the ability of certain proteins to weaken the response of the immune system so that it cannot recognize abnormal cells. CAR T-cell therapy involves removing T cells, genetically modifying them to target a specific cancer, and infusing back into the patient. Use a sunscreen with a sun protection factor (SPF) of 30 to 50. Avoid unnecessary exposure to the sun. Wear clothes that protect your arms, legs, face, neck, and ears. Schedule an annual exam with a dermatologist. braf gene, cancer, cancer cells, chemotherapy, chronic lymphoma, ears, epidermis, immune system, immunotherapy, ipilimumab, leukemia, lymphoma, melanin, melanocytes, melanoma, melanoma risk factors, melanoma stages, melanoma survival rates, melanoma treatment, melanoma treatment options, melanomas, mohs micrographic surgery, protein, radiation, skin, skin cancer, types of skin cancer. if someone just turned 60 years old and he started to lose memory within 30-60 minutes, what could be the reason and what is the possible cure if any? also, if 60 year old male take the maximum amount od depression medication and 15 years later he is depressed and unhappy again what should he do? thank you for your help.